The 2015 Sao Paulo ADCC is about to start. The roster of biggest submission wrestling event in the world, which is happening on the 29th and 30th of August, had to go through a few changes due to the many standard problems, such as injuries that occur when training for a combat sport (i.e. JT Torres & Braulio Estima), but also a few others who pulled out of the tournament for personal reasons (Joao Miyao, Rafael Mendes, etc). Below is the final list of who you should expect to see at this weekend’s big event if you chose to watch the ADCC PPV live stream. What looked like the most stacked division in the tournament when the first names started being poured by the organizers, turned out not as stacked as everyone had hoped. This was due to the a few mishaps with some of the bigger names in this weight class, namely Rafael Mendes (who decided to dedicate more time to his family), and Joao Miyao who alleged matters of a personal nature to cancel the event last week. Miyao’s case is the oddest one out of all the last minute pull-outs suffered by the organization as is due to compete at the IBJJF Santa Cruz Pro, an event that will be taking place on the same day as the ADCC. None the less, the card is very balanced and some tough matches are in the horizon. A historical figure of the sport, the famous “Cobrinha” was the most dominant featherweight in jiu jitsu throughout the 2000’s decade. 9 years after his first world title at black belt, the 35 year old Rubens Charles still has plenty of wind in his sail, being the current division champion. “Tanquinho” was invited to take Rafael Mendes‘ place in July. Augusto has left jiu jitsu competitions on the side since his win at the 2013 world championships, to focus on a career in mixed martial arts, but has come back to participate once more in the world’s most prestigeous grappling event. One of the most recognizable faces in our sport, the veteran Glover has been a keeping busy running his own grappling event (which he competes in often) and grappling in superfights. Always entertaining, Glover is set to make his innovative and tricky donkey guard one of his biggest assets at the ADCC. 2013’s ADCC 3rd place Justin Rader is back to the main stream of jiu jitsu, after a period spent focussing on his MMA career. With great wrestling and a fast paced grappling game, Justin is one of the toughest men in the division. Alexandre is a no gi world champion and black belt under Murilo Bustamante of Brazilian Top Team, who is known for never being in a dull match. 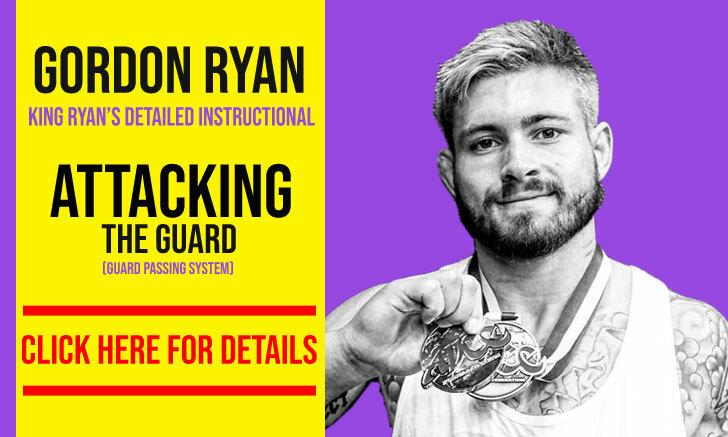 He had a terrific run at the ADCC trials in Rio de Janeiro earlier this year but was stopped in the semi finals. 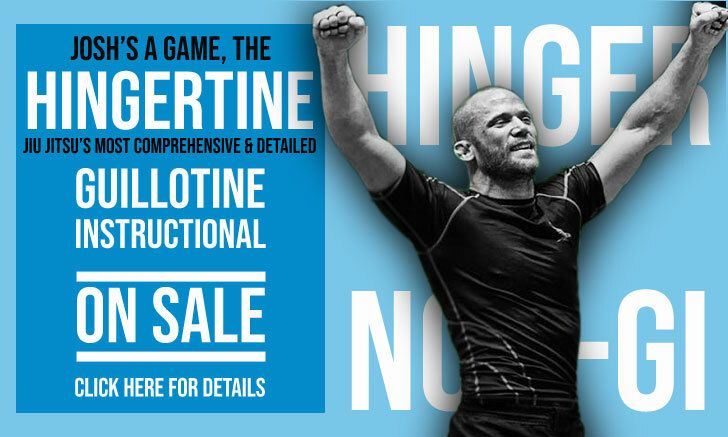 Cummings is a black belt in Brazilian jiu jitsu who specializes in no gi, and is trained by John Danaher of the Renzo Gracie Academy in NYC. Cummings is known for his accuracy with heel hooks and leg locks. Although he has not yet won a title an elite tournament in the sport, the North American trials winner is seen as a serious prospect. One of the top black belts of Eddie Bravo‘s 10th Planet System, Martinez has had a strong start at black belt, earning some very noticeable wins over veteran opposition. A tricky grappler with a taste for the calf slicer and the “truck”, Geo’s unconventional style may have what it takes to bring the recognition of the jiu jitsu community to the 10th Planet style of grappling. Known as “Canto”, Sancar won his ticket to the ADCC finals during the Rio de Janeiro trials when he was a “just” a brown belt, stunning the Brazilian fans. Renan is a student of Claudio Calasans and has since received his black belt. A black belt under Rodrigo Cavaca, Gabriel Marangoni has been keeping an eye on the black belt division for the past few years. One of the top light-featherweights in Sao Paulo, Marangoni will have the support of the crowd and is set to make his tricky guard a danger in the division. Not much is known about the man from Kyrgyzstan. Aside from that he won the Asian trials in impressive fashion. Asadulaev Surkhay is an exciting grappler to emerge from the Caucasus region. Powerful, with good wrestling, and a strong appetite for the guillotine Asadulaev might be one of the dark horses of the division. Hirao is a Japanese black belt who competes for the X-Team jiu jitsu Academy. In typical Japanese grappling style, Yutu has in his guard his greatest asset. Another late replacement in the ADCC under 66kg division, Ramos is a veteran and a black belt under the well known Edson Carvalho. Although he is not regarded as a major threat to the top spots of the tournament, Ramos is an exciting grappler with tons of experience, and will give anyone on the roster a tough match. One of the top no-gi grapplers in Europe, the Frenchman Nicolas Renier comes from a luta livre esportivabackground having won the European trials. Nicolas will also be represending the NRFight Club, a team he founded in France. One of the top grapplers of his generation, Grippo is one of the top black belts produced by Alliance in the last few years. Bruno is one of the top featherweights of his generation and a multiple time world jiu jitsu medallist. Although Frazatto focus for the past 2 years has been on MMA, he is still a serious threat to the top spots on the tournament. Another odd case in this year’s tournament is the absence of Leandro Lo. Much like the 66kg division is missing its strongest athlete in Rafael Mendes, the ADCC will have in Leandro Lo its most missed absentee in the tournament overall, and particularly in the 77kg weight class. Leandro’s name is also on the brackets of the Santa Cruz Pro, which makes this whole scenario stranger than a plot written by Kafka. The American JT Torres is also a big name missing from the roster, a name that the other participants surely won’t miss. Though the 170 pounders will be missing two big names, the division is still one of the most balanced of the tournament, with many possible candidates for the win. Sousa is the 2013 ADCC runner-up and 2x IBJJF middleweight world champion, accolades that make him one of the strongest candidates to this year’s ADCC gold. Always scrappy, Tonon is the american fan favorite. Backed up fans he gathered competing in stages such as Metamoris and EBI, Tonon is regarded as a tough man to submit with a good mix of wrestling and leg attacks, typical of John Danaher’s students..
7. Milton Vieira (invited)The last man invited to the show, Miltinho Vieira came in as a replacement for JT Torres who was injured. Milton is well known for his no gi arm triangle attacks and his lanky no gi style, he is also a veteran with black belts in luta livre and jiu jitsu, though the lack of a training camp and these past few years of inactivity may prove to be detrimental to the former BTT star. One of the most dominant lightweights in jiu jitsu since his arrival at the black belt division in 2007, Lepri has in his passing game his strongest asset, and is seen as one of the top candidates for gold this year. He is a very high class addition to this weight division. Though the 88kg are also missing two strong candidates in Lucas Leite and Braulio Estima, it still has plenty of star power in the brackets. Everywhere you look there are possible candidates for the gold medal, though Romulo, Keenan, Rafael and Yuri seem to have a slight lead over the rest of the group. One of the best medium heavyweights in the history of jiu jitsu, the 4x world jiu jitsu champion and current ADCC champion is regarded by many as the favorite to win the tournament. Barral skipped the IBJJF World Championship this year to focus on his nogi, and has been training wrestling extensively at the Churchboyz Wrestling, with coach Jacob Harman, an important facet of the nogi game. 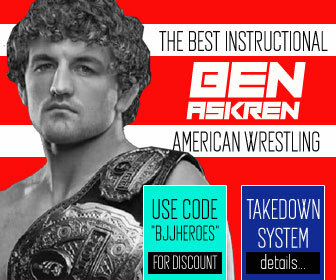 The man with most submission finishes in the 88kg division is back once again to prove why he is one of the best grapplers ever produced in the United States. The former world champion (gi and no gi) is fully recovered from the injury that kept him away from the Pan Ams and the Mundial, having competed at the Curitiba Open earlier this year, where he proved why he is seen as one of the best finishers in the game with 7 submissions. 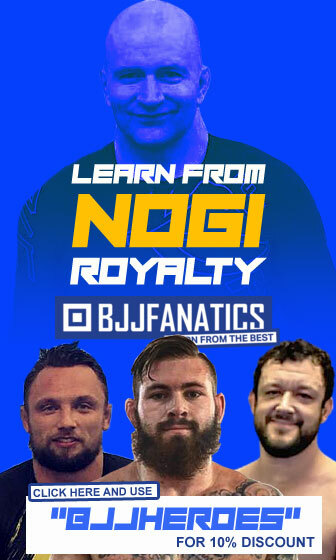 Neiman Gracie has jiu jitsu royal blood running through his veins, being the son Master Marcio Stambowsky and Carla Gracie. He is also an accomplished black belt and cage competitor, with a perfect MMA record. The People’s Champ at 88 kg is Cornelius, he just happens to also be one of the most talented athletes of his generation. At the 2013 event, Cornelius went toe to toe with the champion Barral in the semi final at the last event, losing by a minimal point difference and earning himself a 3rd place. Will the US prodigy do better this year? The highly anticipated return of Braulio Estima to the mats will no longer take place at the ADCC. Instead, the former champion has been replaced with another former ADCC champ in Pablo Popovitch. Pablo is a formidable strategist with a mean double leg takedown. He hasn’t been seen in a competitive environment for a while, but has more than enough experience to make this a worth while trip to the motherland. The current middleweight IBJJF world champion, Calasans Junior will be one of the smallest athletes on the division, but what Calasans lacks in size, he makes up for in technique and tactical awareness. One of the rising stars of the Atos jiu jitsu camp, Perez has a tough closed guard and a bright future ahead. Although Mike’s talent is unquestionable, he is still a purple belt making him one of the least experienced competitors on the roster. A well known figure in the USA grappling circuit, the former The Ultimate Fighter 6 season contender is still going strong in the no gi scene and is looking to test himself once again against the very best in grappling this year. Mesquita has replaced Lucas Leite in the ADCC roster. Although Mesquita is not a big name in the sport, he brings power and athleticism as well as the Alliance quality stamp. Craig Jones is an Australian athlete who trains at ISOHEALTH in Adelaide (South Australia) under Matt Jones. Although he is still a purple belt, Craig won the ADCC trials in South Korea, an incredible deed for a young athlete with a bright future ahead of him. Another bright prospect from Poland, a nation that is quickly taking over the European grappling circuit, Zbigniew “Zybi” Tyszka is a very technical no gi jiu jitsu stylish with a strong guillotine and a deadly heel hook. Jesse Urholin is a brown belt from Finland who’s medalled at both the World Championship and the European Open. Not much is known of Urholin’s game which may play to his strengths in the initial rounds of the tournament. The veteran Japanese Pancrase fighter is still keeping active in the grappling scene, having won the 2nd Asian ADCC trials in great fashion. Mihara trains at the well respected Cobra Kai MMA Dojo in Osaka, Japan a gym where he also coaches. 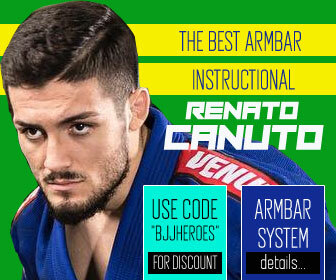 Ezra Lenon is a well known figure in the American jiu jitsu scene, especially without the gi. Lenon reached has medalled in the lower belts, having earned his black belt in less than 5 years. He has dedicated the past few years of his life to coaching and competing in the sport. Yuri Simoes is one of the top grapplers in the world and the current no gi open weight world champion. This will be Yuri’s first attempt at ADCC gold. Well known in the American grappling circuit, Rustam Chsiev is a strong wrestler with a wealth of experience in no gi tournaments. Arguably the most stacked division of the tournament. Without looking at the brackets, it is near impossible to point out 3 (let alone 1) probable champion. If the 99 kilogram category has a few lesser known European and Australasian grapplers, it also has 6 of the toughest competitors to have ever graced the sport of no gi jiu jitsu. ODDS ON FAVORITE(S): João Assis, Alexandre Ribeiro, Felipe Pena & Rodolfo Vieira. The current ADCC 99kg champion is hoping to secure his title. Much like Romulo Barral, Assis has been putting much focus on his wrestling, training extensively at the Churchboyz Wrestling, with coach Jacob Harman. This means that we may be looking at a change in the game of the big man from Checkmat’s camp. With Dean Lister moving up in weight this year, the opportunity presented itself for Pena to move up in weight. The Rio de Janeiro ADCC trials winner was regarded as one of the top contenders at 88kg, but decided to move up in weight to avoid meeting one of his mentors (Romulo Barral) in the inaugural round of the tournament. 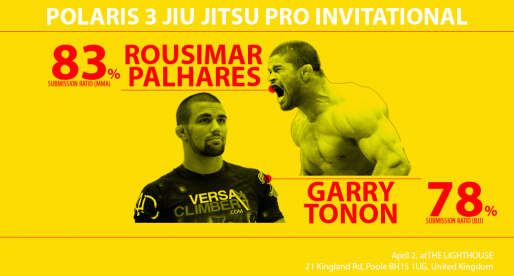 Gracie Barra’s very own “Tussa” Alencar is set to make a run for gold at this year’s ADCC. Roberto did not have a good performance at the world’s tournament this year, but certainly left a fantastic impression of himself without the gi at the Rio de Janeiro trials, defeating Rodrigo Cavaca and Marcus Vinicius on his way to the 1st prize. One of the biggest names in the Brazilian grappling circuit, Francis is not yet very well known among the US crowd. That may change once the talented “Cassão” enters the mats of the 2015 ADCC in August. Being a black belt under Baret Yoshida, you can trust Bukich to have a solid knowledge of the no gi game. Not much is known of Jason except that he has won the USA (Florida) trials earlier this year. A tough competitor, through-and-through, DeBlass is a long time veteran of America’s grappling circuit, having also competed extensively in MMA with stints in the UFC and Bellator. Adding to his long list of accomplishments, Tom is also an extraordinary coach with students such as Garry Tonon under his wing. One to lookout for at the ADCC this year. Green is the Australian 99kg representative. Being a purple belt, not too much is known about the Aussie in the international grappling community, but we are told he has in the guillotine his strongest weapon. Now on his 2nd try at the ADCC gold, Narkun may not be one of the most technical grapplers on the 99kg roster, but what he lacks in technique he makes up for in physicality, killer instinct and stamina. Tomasz has a fantastic MMA record with 10 wins and two losses, all wins having arriving by way of submission, and may pose a threat the some bigger names in the ADCC card. An epic addition to the ADCC, the former judo olympian and MMA star will take part in this year’s tournament. A physical specimen with a phenomenal base and one of the best training camps in the world, Lombard may very well be the dark horse at 99kg. Widely regarded as the number two athlete with a gi, Rodolfo will test his skill once again without the kimono. In 2011 Vieira struggled to adapt to the change in the rhythm of the submission wrestling game, to which a rib injury certainly didn’t help. This time Rodolfo is coming off a lower back injury, but is said to be at 100% ahead of the ADCC. If he is healthy, Rodolfo will be one of the strongest candidates to the gold medal. One of the biggest names in the history of the sport, “Xande” is the #1 ranked jiu jitsu competitor in the history of the sport, being also a 2 time ADCC champion. 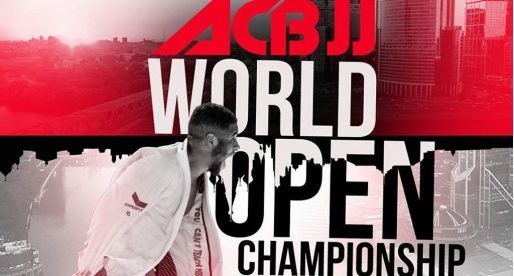 Ribeiro returned from retirement this year at the World Championship, winning the heavyweight division and he is set to make history once again by winning his 3rd ADCC. One of the top American no gi specialists, “Jimmy” Friedrich has a few strong wins over high level opponents and international experience. Friedrich trains in one of the strongest jiu jitsu camps in the world and likes to attack the feet, he is also one of the fan favorites and is expected to stir the division. Yukiyasu Ozawa is a Japanese grappling veteran and former MMA fighter. Another strong competitor from Poland, Kamil Uminski is called “the professor” by his Polish grappling peers for his analytic jiu jitsu. Kamil is also a member of the Alliance team. Adam is a black belt under Eddie Bravo, and a 10th Planet grappler who had a rampant career in the lower belts of no-gi jiu jitsu. A severe knee injury took him out of the 2013 ADCC event, but Sachnoff is healthy again and ready to test himself at the highest level. With a few “old school” jiu jitsu athletes on the 99kg roster, it will be interesting to watch the clash of 10P system vs some of the more traditional stylists such as Rodolfo or “Xande” as well as the new school of BJJ in Felipe Pena. Yet another Polish grappler! The third most well represented country in the tournament, Michalec is another proof of how strong grappling is in this Eastern European country. Staying true to the Polish tradition, Lukasz is very strong and athletic, having in the leg lock game his strongest asset. Traditionally not the strongest division of the ADCC, the big men have a mixed bag of young blood and old school veterans. Considering the youth and momentum of Bernardo Faria, it seems as though he may have an advantage over the majority of his opponents, however, Faria will be one of the smallest grapplers in the division (if not the smallest), which may cause to be detrimental with the Alliance stud’s aspirations for gold. With the current champion of the division out of the tournament due to a knee injury, Buchecha‘s former coach, Rodrigo Cavaca takes the vacancy and is ready to cause some trouble in the division. Cavaca earned a spot at the 2013 event, winning the Rio trials but had to stay out due to an injury. With this in mind the ADCC organization invited the leader of Zenith BJJ to participate in 2015. Cavaca’s gym is also in the State of Sao Paulo, so he should have the home field advantage. The 2011 ADCC tournament champion returns to the event that brought him the recognition of the grappling community. Vinny has an exciting game both from the top and bottom and looks like a very strong candidate for gold this year. Leonardo Nascimento, commonly known as “Chocolate” is one of the few Luta Livre Esportiva representatives this year, the famous no gi grappling style from Brazil. A veteran of the fight game, Leonardo has fought extensively in MMA, and is one of Marcio Cromado’s top students. The current ultra heavyweight world champion is set to make his mark in the ADCC, a competition he will enter for the first time. A black belt under the illustrious Jamelão, Lucas (or “Fedor” as he is commonly known), won the Sao Paulo trials in impressive fashion and is a strong name in the division. One of the hottest prospects from the Alliance team in Orlando, Ardila-Ibarra is coming off a win at the IBJJF World Championship at brown belt. A representative of team Renzo Gracie, Lees stays true to the team’s motto of recent years, having a taste for the footlock. He is a heavy set grappler who’s size might pose a threat to a few of the competitors. Not much is known about Lee, who’s name is often displayed as “Hyung Chul-Lee”. 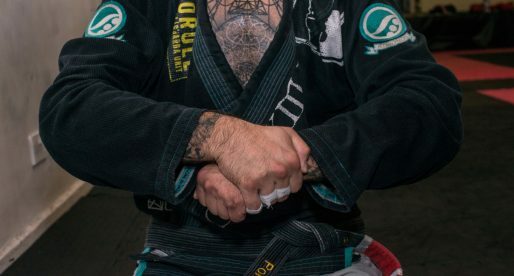 We are told that he is a blue belt, with no experience in other grappling styles which makes him one of the least experienced grapplers ever on an ADCC finals card. With very little weight on his shoulders, will be interesting to see how this Paraestra representative will fair in a true shark tank. With Europe’s most formidable grappler out of the tournament due to a knee injury, the ADCC organizers found in the veteran Artilheiro an adequate last minute replacement. Rodrigo is one of the most accomplished wrestlers in Brazilian history, and has worked with many jiu jitsu specialists. Rodrigo is also an ADCC veteran, having competed in the 2011 tournament, losing to Janne-Pekka in the first round. A true force of nature, Orlando Sanchez is 5’9″ (179cm) and over 250lbs. He is the training partner of former ADCC (and current UFC) heavyweight champion Fabricio Werdum, and should be a tough challenge for anyone in the division. The Ribeiro Jiu Jitsu team representative is one of the top brown belts in the world, and a tough man to beat on any day of the week. On the last ADCC (2013), as a purple belt, Jared reached the semi final of the tournament, defeating former champion Vinny Magalhaes along the way. This year, thanks to his continuous sporting success and after a strong social media campaign launched by his team mates, Dopp has been invited to the tournament. The Alliance powerhouse and double gold medallist at the 2015 IBJJF World Championship has accepted the invitation from the ADCC and is regarded as the heavy favorite to win the tournament at +99kg. A strong name in the jiu jitsu community, Joao’s story is one of perseverance. This time last year, Joao was recovering from cancer, a problem diagnosed shortly after his last ADCC appearance, where he placed 2nd. Since overcoming his terrible illness, Gabriel Rocha has returned in full force, medalling at the Brazilian Nationals and IBJJF Worlds. The famous Japanese fighter is back to the ADCC. Commonly known as “Shrek”, Sekine will look to participate in a tournament that made him known internationally once again. Pietiläinen is one of the most accomplished jiu jitsu competitors in Finland having won the IBJJF World Championship in 2009 (brown belt ultra heavy). Janne-Pekka is also a power lifter, specializing in bench press, so expect a lot of horsepower from this grappler. The former open weight champion has compiled a few losses since his performance at the last run at the ADCC gold. Is the king of heel hooks past his prime? He might prove all disbelievers wrong as he returns to the country where he conquered his open weight title back in 2003. 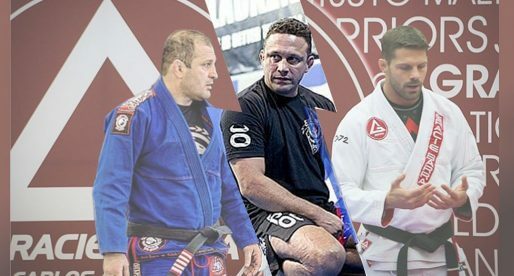 A former 2x ADCC champion, Monson was a last minute call and it is hard to say if the 44 year old will be in shape for a full tournament considering his age, the lack of a full training camp and his style in itself, which is known to drag the fights into over time. Jeff carries a wealth of experience on his shoulders and will be a tough competitor to take out. Less problematic than the men’s divisions, on paper the female 66 kilogram division looks stacked with talent. However, It would’ve been very interesting to see grapplers such as Luiza Monteiro (current gi and no gi middleweight world champion) competing at the ADCC in her home town. A missed opportunity on both sides. A historical figure in the sport, Michelle is along with Dern and Mesquita the favorite to win the tournament. Nicolini is a guard and footlock specialist who always looks for the finish. One of the most exciting grapplers on the ADCC roster. One of the biggest names in women’s jiu jitsu, Tammi represents the new breed of grappler with a style heavily reliant on the modern jiu jitsu. Dern is the golden girl of jiu jitsu at the moment. 2015 has truly been the year of Mackenzie, can she pull off the biggest win of her career in Sao Paulo? We will see this weekend. One of the most successful purple belts of 2014 and 2015, Mazza received her brown belt earlier this year. She will be testing her level against the very best in the business. Although she is not expected to go through some of these more experienced grapplers, this Alliance standout will certainly put a tough fight to anyone that stands in her way. One of the most accomplished female grapplers of her generation, Mesquita is also one of the favorites to win the tournament. A true veteran of the sport, Tavares spent some time with Gracie Humaita, but has now returned to the team where she achieved most of her titles. Not much is known about the Norwegian, though she has recently been awarded her brown belt in jiu jitsu under Chris Brennan. One of Japan’s most exciting new grapplers, Yusasa has won titles in the IBJJF world championship, Pan American and European Open at the lower belts. This will be her toughest test to date. Not much to be said about the 66kg + division. This is where Gabrielle Garcia has thrived in the past, and it is not hard to imagine the Alliance star repeating the deed next weekend. She will be surrounded by very apt grapplers such as Mazzelli, Cordeiro and Santana. By far the biggest favorite to win the tournament, Gabi is the most powerful female grappler of all time, tough to see anyone get passed the female phenom from Alliance. A veteran of the sport, expect Mazzelli to dominate a few of her adversaries. She has the experience to push for the later rounds. Labelled as the hottest prospect in women’s BJJ at the moment. Santana is a brown belt under Marcio Cruz, who’s been on a tear at brown belt this year. A powerful and agile athlete. Jessica is from Manaus and competes for Gracie Barra. Not much is known from the Swedish athlete. One of the top European grapplers in the ADCC, Marysia has on her record medals such as ADCC 2013 runner up, World absolute medallist, Pan American Champion and world nogi champion. One of the last people to win against Gabi Garcia, Ana Laura is the second biggest name on this division, and one to look for at the podium. A world silver medallist, Alison competes out of Brazilian Top Team. You say that Mr. Noh, Youngahm "Aidan" Noh is not expected to go very far. I wonder what you base that on. He is the most talented grapplers in the world, and has a proven record of being the most successful in Asia.